My husband and I made this cake as a practical joke. It was for a Halloween party at his office. The cake is made using the football cake pan from Wilton. 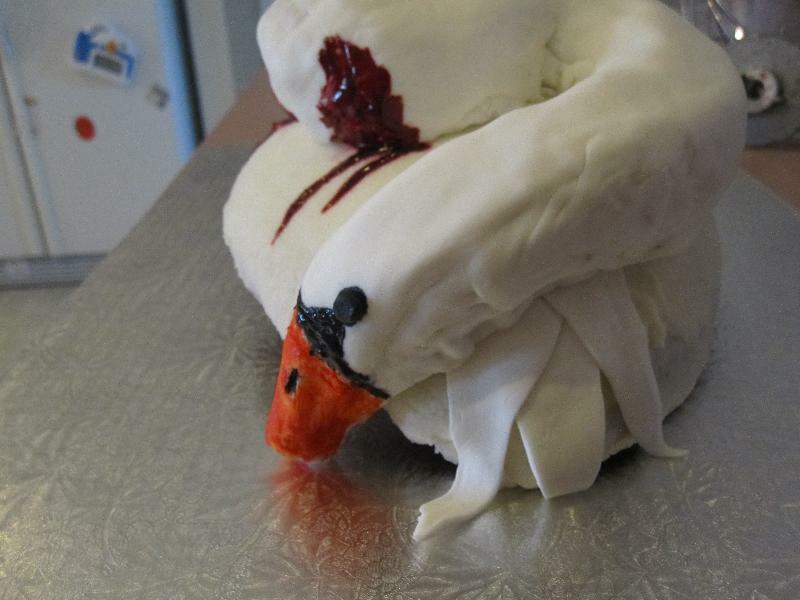 The swan neck was made by wrapping Rice Krispy Treats around it. Then we covered the neck in fondant. My husband hand painted the face and blood.